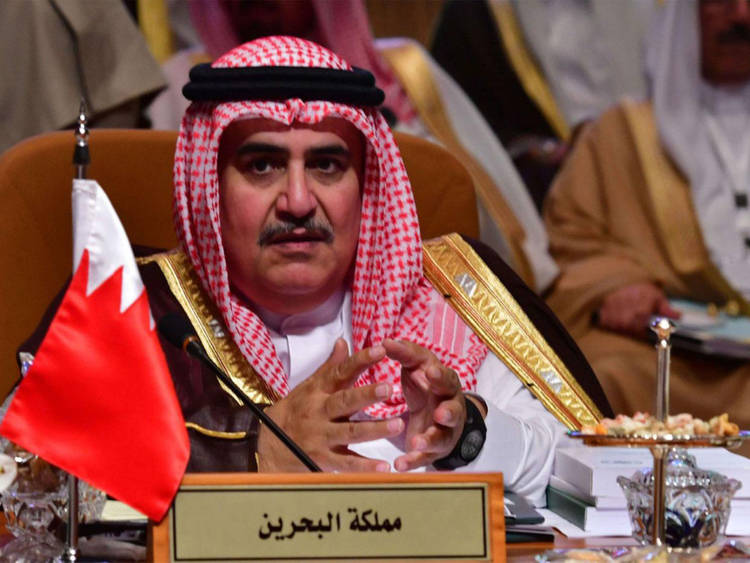 Manama: Bahrain’s Foreign Minister Shaikh Khalid Bin Ahmad Al Khalifa lashed out on Twitter at Hassan Nasrallah, the secretary general of Lebanese political and paramilitary party Hezbollah, accusing him of being an Iranian agent and a warmonger. “Beirut 2002: The Arab summit approves the Arab Peace Initiative. Beirut 2019: The terrorist Nasrallah admits the tunnels [into Israel] have existed for a long time and that he has a plan to occupy Galilee. A country (Lebanon) wants peace to rebound and Iran’s agent plans for war to revive himself,” Shaikh Khalid posted to his followers. Lebanon is paying the price because of Nasrallah’s attitudes that are financially supported by Iran, Shaikh Khalid added. In December, Shaikh Khalid expressed support for Israel’s move to destroy Hezbollah’s cross-border tunnels. “Is the digging by terrorist Hezbollah of the tunnels under Lebanon’s border not a flagrant threat to Lebanon’s stability, which it shares responsibility for? Who bears responsibility when neighboring countries take upon themselves to eliminate the threat they face?” he posted. Nasrallah on Saturday night told a Lebanese TV station that the cross-border tunnels targeted recently by Israel during the Operation Northern Shield, had existed for years and Israeli intelligence technology and capabilities had failed for 14 years to expose them. “I confirm that some of these tunnels are older than United National Security Council Resolution 1701,” he said, referring to the resolution intended to resolve the 2006 Israel-Lebanon conflict approved by the Security Council on August 11, 2006. Nasrallah did not confirm or deny whether all of the tunnels had been discovered, but said that Hezbollah’ war plan includes invading the Galilee. “After our experience in Syria, entering the Galilee will be easier,” he said. In 2016, the Gulf Cooperation Council (GCC) and the Arab League declared Iran-allied Hezbollah a terrorist organisation.